Our time together is coming to an end far quicker than I'd like. You've been by far the busiest year of my life so far but you have been good to me and I feel that it's only right for us to look back over the year we've spent together at both the good bits and the bad bits. Let's rewind back to January. It wasn't really up to much was it? To be straight with you, my memories of our first month together are just one huge blur of anxiety, stress and emotion. I was up to my eyeballs in mock exams and it all really took its toll on me. Looking back with a clear head, I'm glad I hit breaking point when I did. If my anxieties about my studies had bubbled away inside of me for another few months it would have been a complete disaster. This way, I was able to let it all out, learn to cope and tackle my exams in the summer with a clear head. After that whirlwind month, we greeted February with a smile. I'm not going to lie to you, my little head can't remember a whole lot of what this month had to offer. I vaguely recall doing something nice around valentines day with some of the fellow singletons in my friends. 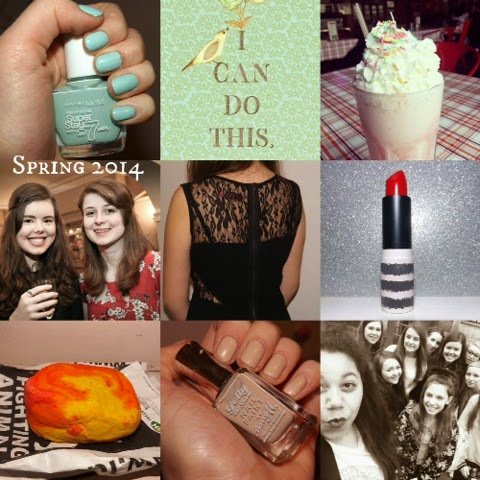 February was also the month where I began to organise the Easter Bloggers Box Swap, which went down a treat. Soon enough, it was March's turn to take centre stage. March began with a whirlwind weekend away in Derbyshire with a rather large group of my family (forty odd people - needless to say we took the sleepy Derbyshire village by storm) to celebrate my grandmas birthday but after that I just settled down and got to work, revising hard for my upcoming exams. Once March was all done and dusted, April hit. It was in this month that I attended my first bloggers meet up. The #SEBloggers meet up in Covent Garden was a rather fabulous occasion and it definitely sparked my love of meeting up with fellow bloggers. Then, the much anticipated month of May came along. The month kicked off with my sixteenth birthday on the 4th and I had an amazing day with my family and friends before heading up to Sheffield to see McBusted. Talk about an incredible birthday. It was also at the start of May that I officially left year eleven and our last day as a year group was emotional yet exciting as we were all going on our separate paths (most of us ended up back at the school in the sixth form the following September but you get my drift). On a less exciting note, May also meant the start of my exams. They all got off to a rather good start and I surprised myself with just how calm I was about the whole thing. May Post Of The Month ~ "A Good Snapshot Keeps A Moment From Running Away"
After what felt like only a week, June made its way into our lives. That month simply comprised of exam after exam, with many a revision session slotted in between until around the 23rd, when "please put your pens down" was called out for the last time. Following that date, I dedicated my days to a bit of "me time", and gave myself the break I truly deserved. For me, July was a month of celebration. After two years of hard work and months of constant exams I was finally free and I really made the most of it. I had my prom, which was honestly one of the best nights of my life and a perfect way to end the five years I spent as part of a rather amazing year group, and I was able to see one of my favourite bands McBusted live in Hyde Park. In the later weeks of July, I jetted off to Greece for a two week holiday with 7 of my favourite people. It was there where I truly believe the stress of my last year of school was lifted. There where I was free to do what I wanted, when I wanted: swim, sunbathe, blog, and eat some of the yummiest food I've ever tasted whilst finding the old moment here and there to eye flirt with the attractive French boy we kept bumping in to, of course. It where I surprised myself and beat my anxiety of going outside without makeup on. Yes, I may not have made it further than our private pool everyday but this was still a huge deal for me and I couldn't be more proud of myself. August was a fine one, wasn't it? Full of milestones for this little blog. I kicked off the month by hitting 400 followers, which was incredible and I'm so grateful for every single one of you for helping me get there. I remember waking up to the news and tearing up a little, like a proud mum who's baby had just hit a significant milestone. 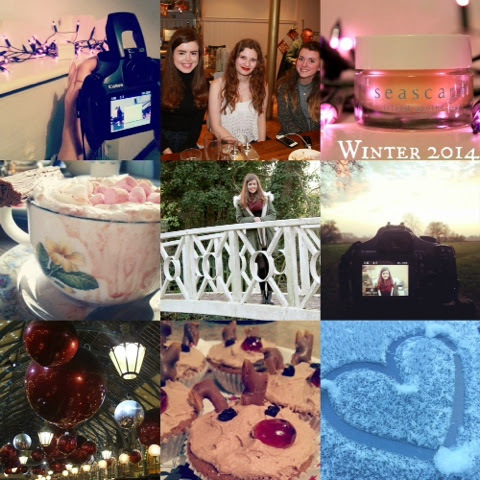 It was also in August that I organised my first meet up with the lovely Georgie - the #tbloggers meet up in Hyde Park. Although the build up to the big day was stressful, it was amazing to meet so many wonderful bloggers. 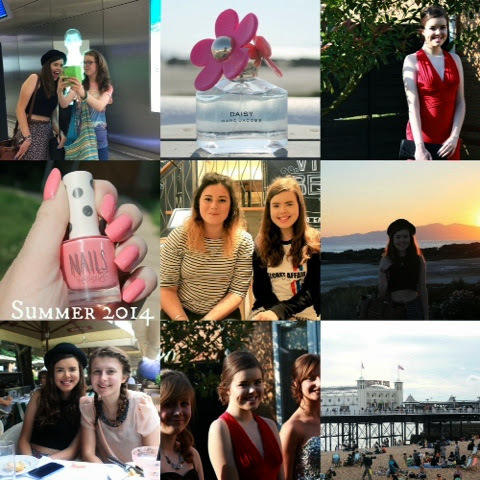 That month I also attended the second #SEBloggers Meet Up in Brighton where I was able to meet even more lovely bloggers, some of whom I've become really close to over recent months. September meant back to school and the start of my AS Levels. It really was a shock to the system to have to go back to my school routine but all good things must come to an end. I started my courses in English Literature, History, Philosophy and Ethics and Sociology, which are all going just nicely so far. Then we said hello to October. This was the month where I started my job - working as a receptionist at a local gym. So far I'm loving my job rather a lot and I seem to be getting the hang of it. The early morning Sunday shift might not be my cup of tea (I begin work just before 8 you see) but I'm sure I'll get used to it. As our time together began to draw to a close. November came around. 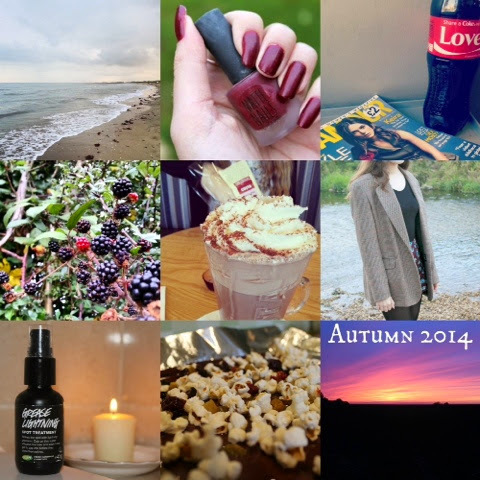 The penultimate month of the year got off with a bang when my little blog had it's second birthday. To celebrate, I spent the day exploring a quaint little town near my home, taking many an OOTD photo and enjoying mugs of hot chocolate in darling cafes. Soon enough it was time for me to open the first door of my advent calender when December made its way into our lives. It's our last month together and boy hasn't it been a roller coaster? All too emotional for my liking, I'm not going to lie. But I wouldn't have ever been able to get through it like I have without the people around me. Without a shadow of a doubt, I have the best friends and family out there, and can't get over how fortunate I've been to be surrounded by such a supportive, caring and downright wonderful bunch of people this year. The month did it have it's high points though. I hosted the second #tbloggers meet up in Covent Garden where we oohed and aahed at the gorgeous decorations, spent our well earned pennies on festive goodies and had a bite to eat at Zizzi's, and I was able to spend lots of time with my loved ones. Well 2014 this is it hey? Before I bid you farewell and we go our separate ways, I want to thank you for a year filled with more amazing experiences than I could have ever possibly imagined because all things considered, we really had a remarkable year didn't we? Yes there have indeed been low points but I've come out the other end feeling much stronger and more appreciative of everything I'm blessed enough to have around me. You'll get used to the early start - I'm also a receptionist in a gym and every Friday I start at 6:15am so I need to be up by half 5.